"We want to commend the Directorate of Immigration and Citizenship control for strengthening the screening procedures at all border points. We strongly believe that the deportation of the two foreigners, who were using their employment as tools to achieve their ill motives, has enabled us disrupt their intended plans of compromising our national security," she said in a statement issued on Tuesday. 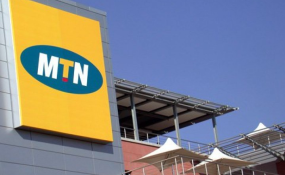 When contacted, the telecom's Communications and Corporate Affairs Manager, Val Oketcho confirmed the development saying they would issue a statement shortly.